Bright zesty tropical fruit and gooseberry aromas with a citrus core supported by a lime and mineral structure. Soft citrus and a little peach appear on a well-rounded palate. Crisp green apple flavours alongside fresh lemon and an underlying hint of chalky minerality leading to a long, fresh finish. This state-of-the-art winery located on the banks of the Umia River in the Valdo Salnés was established in 2009. Some 200 wine growers supply them from around 130 hectares of vineyard planted on the rocky, alluvial soils of the nearby rolling hills. 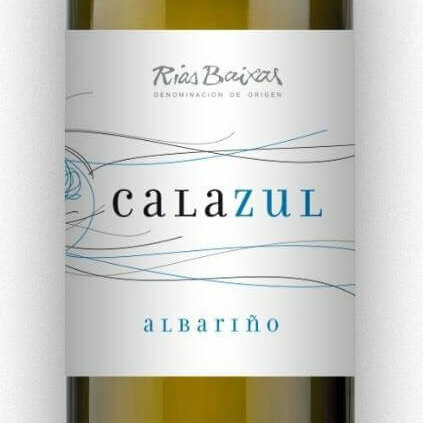 Albariño was first introduced to Galicia in the 12th century and thrives in these conditions. Albariño accounts for up to 90% of all vines planted in Rías Baixas and the area was awarded Denominación de Origen in 1988. The grapes are hand-harvested and transported to the winery within two hours of picking to maintain optimum freshness. Vinification occurs under inert conditions to prevent chemical and enzymatic oxidation, preserving the high quality of the fruit. The grapes are de-stemmed and macerated before being gently pressed prior to fermentation. Fermentation takes place in stainless steel tanks and is temperature-controlled between 14 – 16°C for 15 days. The resulting wine goes through microfiltration immediately before bottling.